Michael brings more than 30 years experience as an executive manager and business owner. He has 11 years experience in the financial services industry* specializing previously in liability management and currently in investment* and retirement planning. 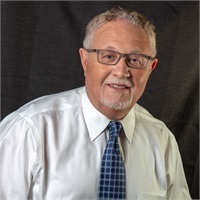 "It is my goal to utilize the vast resources of the Clark Financial Group to provide my clients with professional expertise and planning that will help them achieve financial independence and a fulfilling retirement". Michael's vast experience has helped him to develop a "clientcentric" approach to planning that places the customer's needs and objectives as the basis for his practice.